Healthy, active, well-nourished children are happier, more alert, ready to learn and more prepared to take on the challenges they face every day. The mission of the Health and Wellness Workgroup is to foster a culture of health, provide access to resources ad advocate for policies that sustain the health of the children and families of Norwalk. 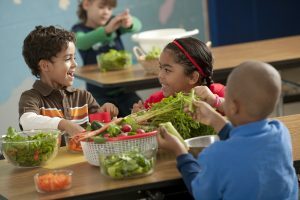 We are working to help kids eat more fruits and vegetables, spend more minutes each day being active ad connect children and families with appropriate health care services.